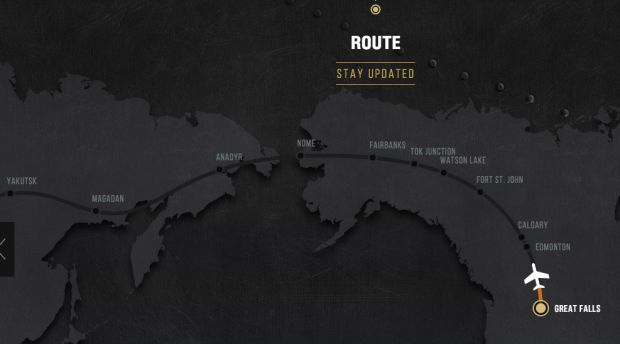 About Warplanes to Siberia To commemorate the 70th anniversary of the end of World War II, online game developer and publisher Wargaming, in partnership with the BRAVO 369 Flight Foundation (USA) and Rusavia (Russia), will retrace the historic Alaska to Siberia (ALSIB) route. 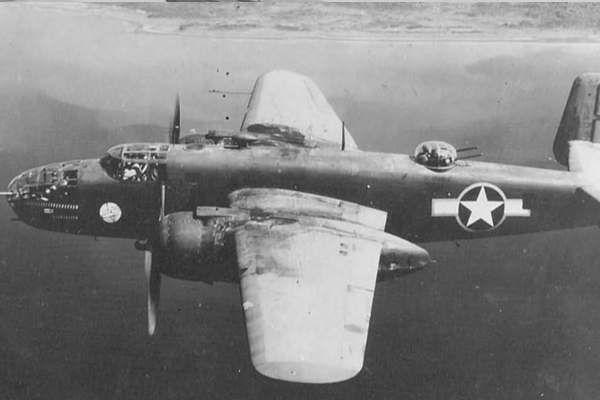 In 1942-1945, the United States sent thousands of warplanes to the USSR, as part of the Lend-Lease program – which supplied vast quantities of war materials to Allied countries during the conflict. There were three principle routes for Lend-Lease supplies to reach the Soviet Union. The most direct route carried supplies across the North Atlantic to the UK, and then on to the port cities of Archangel and Murmansk. But heavy shipping losses at the hands of the Kriegsmarine and Luftwaffe led the U.S. and U.K. to seek new routes. The second route rounded the Cape of Good Hope to Persia, and then continued overland to Southern Russia. The third route, for airplanes rather than ships, was the ALSIB air bridge, a top secret operation that involved unprecedented cooperation between Russia, the U.S., and Canada. American pilots (both men and women) flew the planes from factories across the U.S. to Great Falls, Montana, across Western Canada, and finally to Fairbanks, Alaska, where Soviet pilots inspected and then flew the planes to Krasnoyarsk. It was an arduous journey over some of the most remote and inhospitable terrain on the planet. The total distance from factories to frontline airfields was over 14,000 kilometers (8,700 miles) including the ALSIB section which was 6,500 kilometers (4,000 miles). On the ground, an army of engineers and construction workers in the U.S., Canada, and Russia worked tirelessly to construct roads across the permafrost, erect barracks for flight crews and mechanics, and build airfields in difficult conditions near the Arctic Circle. Their sacrifices enabled the United States and the Soviet Union to ferry thousands of planes to Russia, including the Bell P-39 Airacobra, Bell P-63 Kingcobra, Curtiss C-46 Commando, Curtiss P-40 Warhawk, Douglas A-20 Boston/Havoc, Douglas C-47 Skytrain, North American AT-6 Texan and North American B-25 Mitchell. To pay tribute to those who served in the ALSIB program, a new generation of pilots will take to skies to recreate this historic journey. Experienced aviators will command World War II aircraft, employing the three ship formation. These planes include two Douglas C-47 Skytrain (also known as the DC-3 Dakota) and one AT-6 Texan. The flight will take approximately 18 days. The crews will travel all the way from Great Falls to Krasnoyarsk with 11 stops in between. While Krasnoyarsk was the terminus for the ALSIB operation, the ALSIB 2015 team will continue on to Moscow to take part in the international air show MAKS-2015. titles will form a common gaming universe integrated within the portal www.wargaming.net. Founded in 1991, Russian Aviation Co. Ltd specializes in the supply and production of spare parts, instruments and equipment for all types of aircrafts and helicopters made in the CIS. aircraft engineering and Russian aviation. The BRAVO 369 Flight Foundation is a non-profit organization dedicated to education, aviation history and the preservation of historical aircraft. The company offers unique educational opportunities for students, teachers, and the general public to actively participate in a series of interactive flights and aviation projects.